His Holiness Hazrat Mirza Masroor Ahmad is the worldwide leader of the Ahmadiyya Muslim Community. Elected to office in April 2003, His Holiness is the fifth Khalifa (Caliph) of the Ahmadiyya Community following the demise of the founder in 1908 .He leads the global community that is now established in over 200 countries with tens of millions of members worldwide. 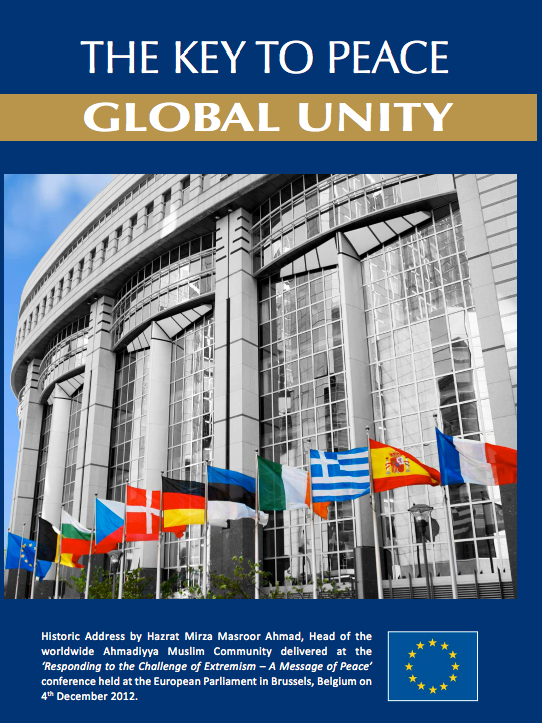 His Holiness Hazrat Mirza Masroor Ahmad is internationally respected and has repeatedly spoken on the need for peace. His latest parliamentary address was delivered in Canada, on 17th October 2016 where His Holiness emphasised the need for justice as a means to peace. he stated: “Irrespective of differences of background, I believe that on the basis of humanity, we are all joined together, and should therefore be united. All people and all organisations, must collectively endeavour to uphold human values, and strive to make the world in which we live, a better and far more harmonious place.” His Holiness is a passionate advocate for universal human rights and peace and has delivered addresses at parliaments across the world including Capitol Hill,the European Parliament and the House of Commons. 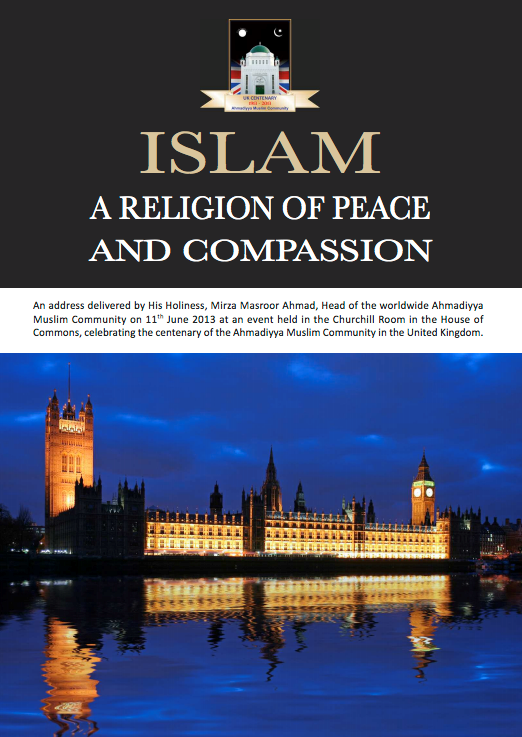 He was the keynote speaker at the Conference of World Religions held at Guildhall in February 2014. As the world ’s leading Muslim figure promoting peace and inter-religious harmony, His Holiness continually advocates the path to peace through the worship of God Almighty and service to humanity. Through his many sermons, lectures, books and personal meetings he has called for the separation of mosque and state and has championed the need for universal human rights through justice for all. 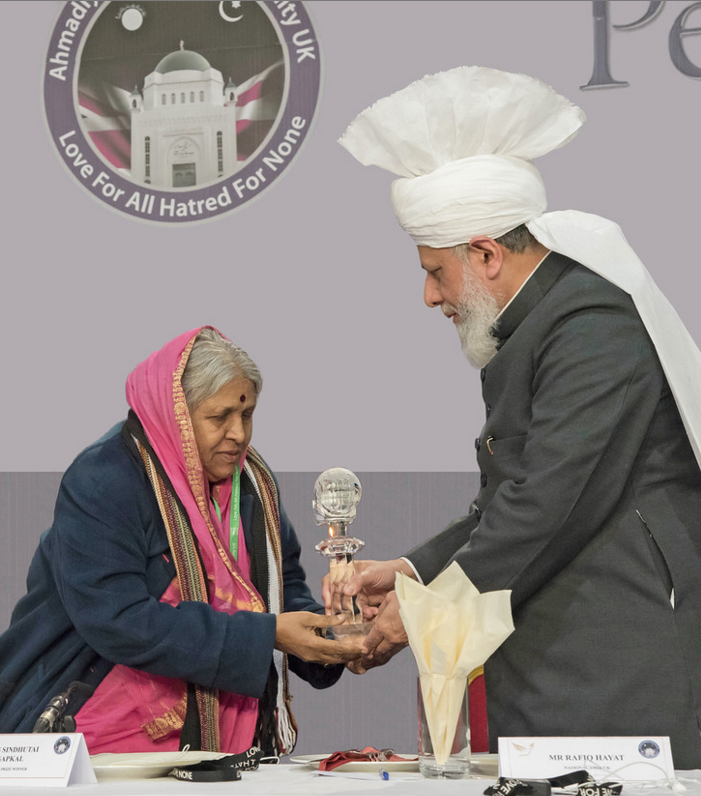 In 2004 he launched the annual National Peace Symposium which is attended by by nearly one thousand people including ministers, parliamentarians, faith leaders, diplomats and other dignitaries.In 2009 he launched the annual ‘Ahmadiyya Muslim Prize for the Advancement of Peace‘. This is an international peace award for an individual or organisation that has demonstrated an extraordinary commitment and service to the cause of peace and humanitarianism. In the same year he initiated national peace campaigns comprising of distribution of leaflets promoting the need for peace through greater understanding. In the UK this leaflet has reached five million homes and is increasing day by day. This was supplemented by an international awareness campaign that featured adverts on buses, billboards as well as a large number of interfaith & peace symposium and exhibitions of the Holy Qur’an. In 2012, in light of the growing global tensions, His Holiness wrote a series of letters to world leaders calling for the peaceful resolution to world conflicts. 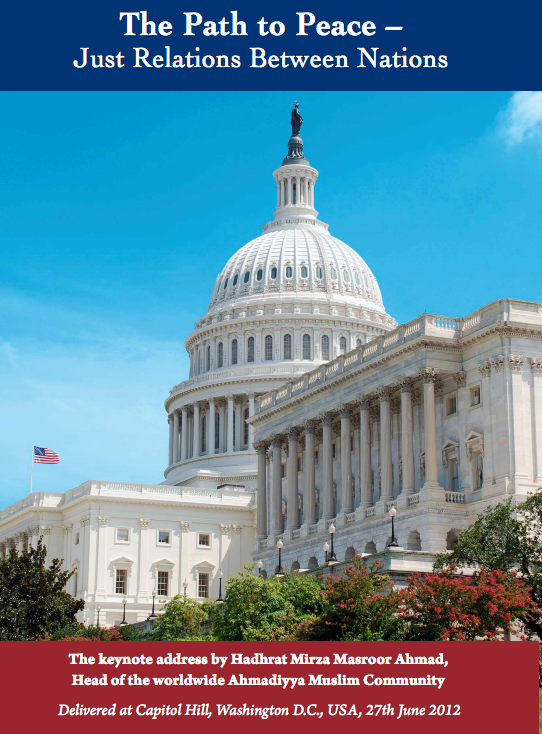 The world is passing through very troubled times and the global economic crisis continues to manifest newer and graver dangers. The similarities to the period just before the Second World War continue to be cited and it seems clear that events are moving the world at an unprecedented pace towards a horrific Third World War. 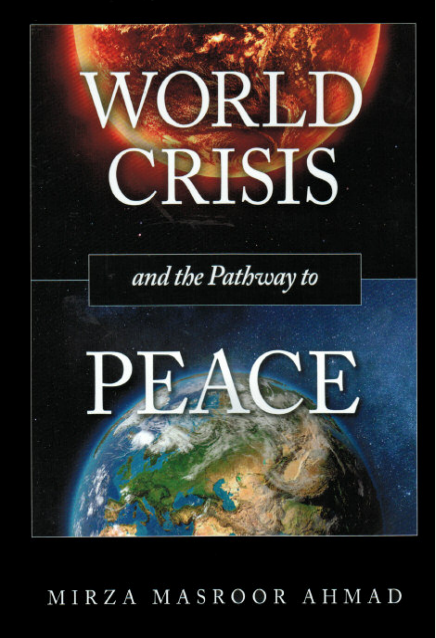 This latest edition of this book by His Holiness Hazrat Mirza Masroor Ahmad, he warns the world of the fast approaching dangers and how it can avert disaster and chart a course to peace. It includes a selection of his keynote addresses and letters to world leaders urging them to focus global efforts for the attainment of peace and justice.